There have been some big changes lately in the Arrowverse having to do with the ‘Big Bads” of each show. Today I’m going to do a quick pass over each to see where we are at, their motivation, their plan, and how all that is working out. Let’s swing by and see the newest show on the block, Black Lightning. Pictured (L-R): Marvin “Krondon” Jones III as Tobias and Edwina Findley as Tori — Photo: Richard Ducree/The CW — © 2018 The CW Network, LLC. All rights reserved. 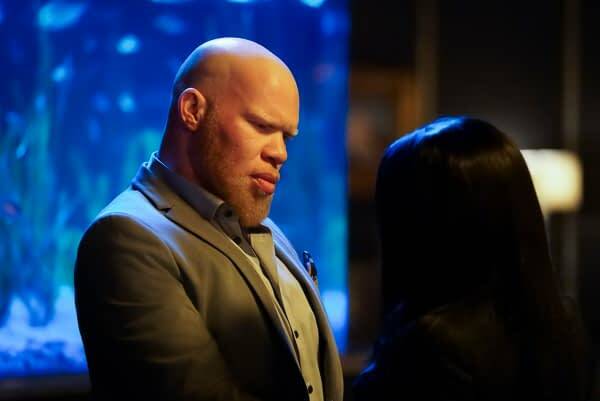 Tobias Whale (Marvin ‘Krondon’ Jones III) is a very different type of villain than we’ve seen on the CW superhero shows. An ex-politician brought down by an unknown scandal reinvents himself as a crime boss who becomes famous for killing Black Lightning (Cress Williams) and pulls together all of the other crime bosses into the 100 gang and takes over Freeland. He has no super power, no great intelligence. He doesn’t even have a trained group of ninjas at his beck and call. He’s a kingpin of crime with a violent streak. He’s not rash or maniacal. He’s calculating and willing to dictate assignments, but also willing to get his hands dirty. He rewards loyalty and good service, and he crushes those who fail him. His motivation originally was greed and power. Basic human desires that have driven a lot of real-world criminals and mob bosses. But that changes when he sees that Black Lightning is back. Everything Whale has at this moment was built on his reputation of having killed the vigilante. His power, money, and status are all based on that one thing. Now, those under him or working with him have to question his ability if Black Lightning is alive. It’s both a matter of honor and business. 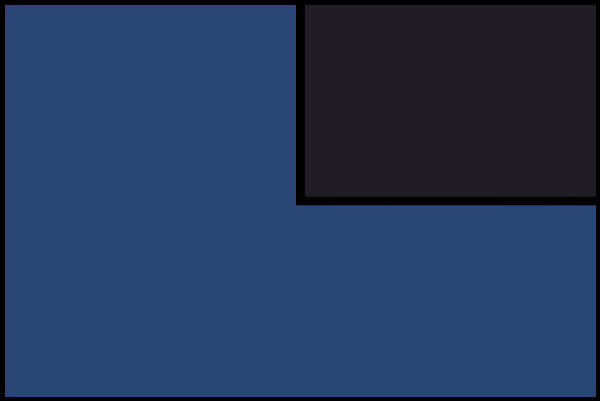 Whale must take down the hero quickly to protect both his business interests and his base of power. To be a kingpin of crime, you can’t let anyone question your authority. Whale is smart in knowing that going toe-to-toe against Black Lightning isn’t the best approach. We saw that even before he knew Black Lightning was back. He wanted a gunman to down a group of protesters marching rather than just the man leading the march. Killing the leader would create a martyr, someone for the people to rise up for. But killing the followers just shows everyone how dangerous it is to follow that person. Now that he knows BL is back, he’s not trying to set a trap for him as many bad guys would do and then try to finish them with a bunch of armed thugs. If he fails, then he is ruined, and if he succeeds, he turns Black Lightning into a martyr. Instead, his plan is to turn the people against Black Lightning to the point where they will take him out themselves. And he will use Khalil (Jordan Calloway), a young man shot by Whale’s henchwoman and will never walk again, as the focal point. He plans to convince Khalil that Black Lightning is the reason the boy won’t ever walk again. It’s still early, so we don’t have a lot of questions yet. I’m sure we’ll find out soon enough what was the scandal that brought him down as a politician and what he was doing to get on Black Lightning’s radar in the first place. I’d also be curious to know: just how he was able to bring together so many crime bosses? The first look or two we got on Whale made him seem like a James Bond villain feeding his piranhas. But after seeing him kill Lala (William Catlett) himself and then go visit Lady Eve (Jill Scott) to offer recompense for Lala’s actions, it was obvious he was going to be something more than just a thug. Seeing him making plans to turn Freeland against Black Lightning is a good sign as well. I really look forward to seeing what they do with this character going forward. Black Lightning airs Tuesdays at 9 p.m. ET on the CW.